The company’s report, ‘H1 2019 Global Capacity and Capital Expenditure Outlook for Liquids Storage – Asia Leads both Global Capacity and Capital Expenditure Outlook’, reveals that global liquids storage capacity is expected to grow 5.7% during 2019-2023, from 7,705 mmbbl (million barrels) in 2019 to 8,145 mmbbl by 2023. 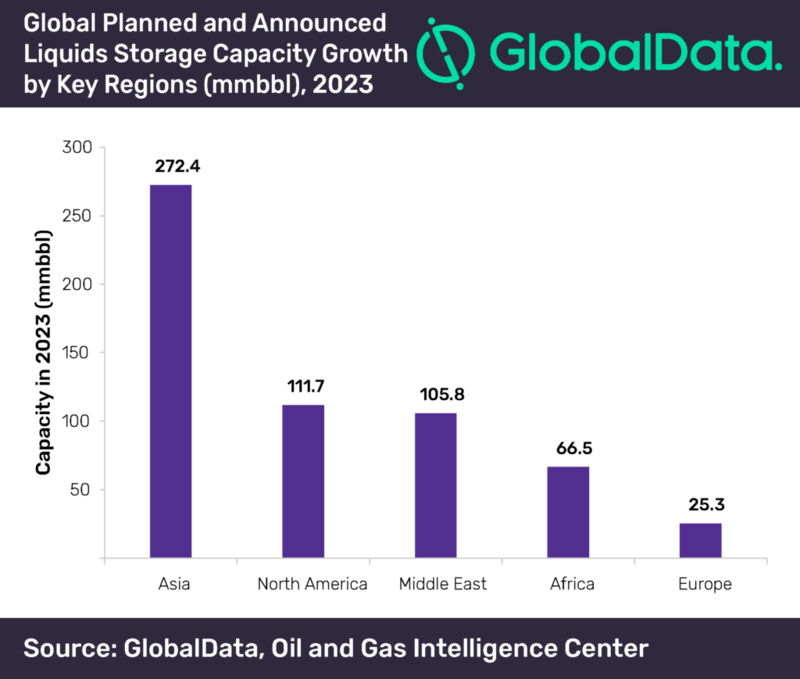 Asia, North America and the Middle East lead globally in terms of liquids storage capacity growth from planned and announced projects, with capacities of 272 mmbbl, 112 mmbbl, and 106 mmbbl, respectively, in 2023. In terms of capacity, Zhanjiang IV in China, Fujairah XVIII in the UAE and Lawe-Lawe CCT in Indonesia will be the top three new-build liquids storage terminals with capacities of 44 mmbbl, 42 mmbbl and 25 mmbbl in 2023, respectively.